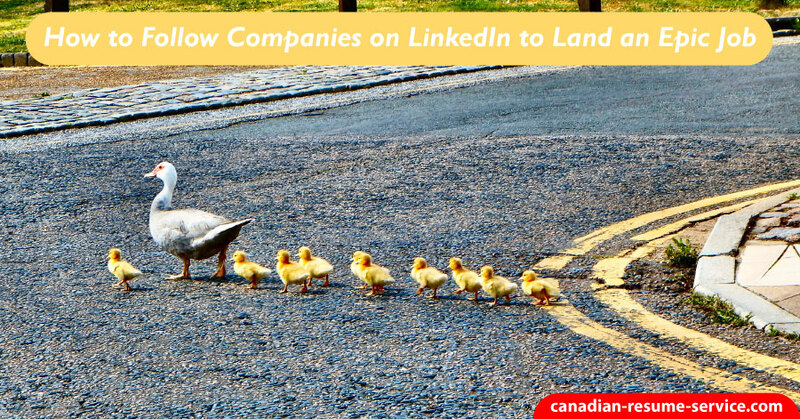 Do you follow companies on LinkedIn to get the inside scoop on job leads? If not, you could be losing out on fantastic job opportunities. LinkedIn is one of the social media networking sites that is popularly used by job seekers to promote and sell themselves to potential employers. With the advent of various online services, the chance of being employed through online networking is continually growing. But aside from having a LinkedIn profile, it is also essential for LinkedIn users to follow companies to increase their chances of finding employment. If you are not following companies on LinkedIn, maybe it is time for you to decide who to support. When you visit a company’s page on LinkedIn, you will see that it includes lots of useful information. For instance, it often consists of a summary of the company, contact information, the company website, and company updates. Discover which shared connections you have with the company. Locate contacts in your network who either currently work for the company or who have worked for the company in the past. A company page will often also have a “See Jobs” tab which will allow you to see a list of current job openings. Recently posted jobs will be displayed and careers that match your skills. Click on a position to get more information and to learn how to apply. The bottom of the page will have an “Employee insights” section that includes information on locations of jobs, seniority levels, education levels, and required skills. These details will supply you with data about the current employees at the company. Use this information to understand the makeup of the company, and the kinds of skills they are looking for in employees. If you follow the company, you will get updates on new jobs at the organization in your feed. Receive regular updates regarding the company via LinkedIn messager. These broadcasts can include news articles about the company, general updates, as well as new job postings. Use this information to decide whether its company culture is a good fit for you, as well as help you prepare a targeted cover letter and prepare for a job interview. It’s a fabulous idea to bring up some of the most recent information about the company at a job interview to show you’ve done your homework. LinkedIn has a special tool called ‘LinkedIn’s Company Follow’ that enables job seekers to look for companies and find out if they have mutual connections where you would like to work. The relationships you have can provide significant help when it comes to recommending your name for a job. A list of your first degree connections with the company is visible to the right side of the company profile page. If you reach out to one of your first degree connections, you can gain an insider’s edge on working at the company. One of your connections may be able to give introductions to other staff in the department you are targeting or provide referrals for job openings. As well, if you have an interview coming up, they can give you advice. If you don’t have any first degree contacts with an organization, chances are you will have second-degree connections. By clicking on the button that states “See all employees on LinkedIn,” you will be able to view everyone that works for the organization. If you prefer, filter the list of people to show only your second-degree contacts. Underneath each of those second-degree contacts, it will show “Shared Connections”. Click on that button to see what first-degree contact you share. Use this information to reach out to your mutual first-degree contact and request an introduction to the second-degree person who works at the organization you are targeting. When deciding which companies to follow on LinkedIn, you must first determine your career objectives, your core values, and your personal preferences. For instance, if you are in marketing or you specialize in promotions and advertising, you would want to follow a company that falls under the category of marketing or commercial advertisements. Following a company you think aligns with your career objectives can enable you to simplify your job search and obtain productive results. Aside from the LinkedIn Company Follow, you can make use of the Career Tab. This career tab is designed to help both companies and professionals. Click the tab if you want to visit other pages dedicated to companies. Find out more about what companies are offering, the current employment opportunities and requirements they need, and other specific details. This way, you can see connections and have access to hundreds of job possibilities. Get basic ideas from other individuals who got their job from using professional social media. • Sign-in to your LinkedIn profile. If you have not set up a profile yet, you must register first before you can access the website. • Click on the company or companies you wish to follow. • If you want random company names, you can either search for the company name by keyword or location. • Once you find the company, click on it and go to the company page. • The yellow follow button at the top right of the company page will enable you to monitor the selected company. • When you click the settings option, you can choose what updates to subscribe to, whether you want to receive emails or feed items, and at what frequency they should be sent to you. Which Companies Should You Follow? How many companies can you follow? The LinkedIn platform allows you to follow up to 1,000 companies. The sky is the limit. The Following Company feature is a great research tool to help you keep tabs on the people and companies you are interested in tracking. How have you used social media to further your job search? Comment and share below! If you need help, reach out to Candace for assistance! She can help you develop a great LinkedIn profile.